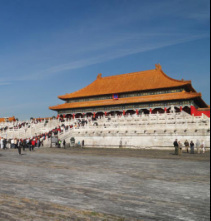 Join LDS Group Travel and experience China first hand. This tour hits all the must see locations. The Forbidden City and the Great Wall of China in Beijing, The Terracotta Warriors in Xian and the Yuyuan Garden and the Bund in Shanghai. But also adds in a stop in Chengdu to see the LeShan Buddha and the Giant Panda research center. All of this for an amazingly low price. This is a trip you do not want to miss! Today you start your Journey. 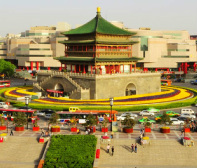 Arrive in Beijing, sprawling capital of modern China; meeting and transfer to your hotel. Remainder of the day at leisure to rest, relax and acclimate to your new surroundings. 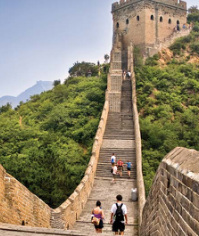 Travel to the extraordinary 2000-year-old Great Wall of China, one of the most amazing structures ever built by man, spanning nearly 4000 miles. En route, stop at a local jade shop to admire wares crafted with one of China's most famous materials. Then it's time to climb the ramparts of this ancient wonder to view beautiful mountain passes and plateaus from atop this 7th century defensive fortification. Afterward, lunch at a nearby restaurant. Return to Beijing via the striking ultra-modern architectural site built for the 2008 Beijing Olympics. End the afternoon at the massive Temple of Heaven, a Ming dynasty complex where emperors held their ritual prayer ceremony, paying homage to heaven. Morning flight to Xian, ancient capital of eleven dynasties and an archaeological treasure trove. Lunch at a local restaurant upon arrival. Later this afternoon, trace the beginnings of Chinese civilization at the Shaanxi Provincial Museum, home to a wealth of historical artifacts and treasures. View the remarkable Tang Dynasty murals dramatically depicting life in ancient China. Morning visit to Xingqing park, center of the city's lively activities. Afterward, stop at a lacquer furniture shop to learn more about this ancient technique that is still used today. Lunch at a local restaurant. Then, an unforgettable experience! 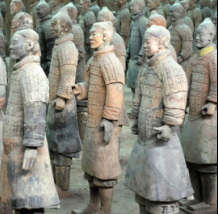 Visit the archaeological site of the magnificent Terracotta Warriors, a vast collection of life-sized soldiers, horses and chariots that were entombed with China's first emperor, Qin Shi Huang. This world-famous site, discovered by local farmers in 1974, is still being excavated today, more than thirty years since the time of its first unearthing. Depart Xian by flight to Chengdu, capital city of Sichuan Province with its distinctive culture. Upon arrival, visit pedestrianized Jinli Street, one of the oldest streets in the city's history, once center of Chengdu's thriving embroidery industry. The shops, tea houses and residences, now renovated, are modeled after an ancient architectural style dating back to the Qin Dynasty. This morning, visit Leshan, home of the famous stone Buddha which stands at nearly 230 feet high and dates back from 713 AD. 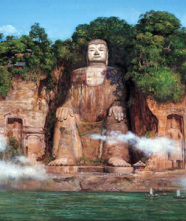 Board a boat to approach the base of this impressive, larger than life statue carved into a cliff face along the river. Have lunch at a local restaurant and then travel back to Chengdu via Huanglongxi. Stop here to explore the stone paved streets and ancient, wooden houses of this traditional village, constructed during the Ming and Qing dynasties. Dinner this evening is at a local restaurant. Travel to the Chengdu Panda Research Base of Giant Panda Breeding, a facility dedicated to the preservation and protection of the pandas. 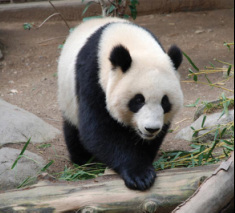 Due to many factors, including habitat destruction, pandas have become an endangered species. Housing more than 80 giant pandas, the center is one of the largest panda breeding facilities in the world. After lunch at a local restaurant, drive back into town and visit the peaceful and serene People's Park, a popular destination for the locals and their leisure activities. Dinner together tonight at a local restaurant. Overnight: Chengdu - (B, L, D). Transfer to the airport for your flight to cosmopolitan Shanghai, the fastest growing city in Asia, with its dramatic ever-changing skyline. Have lunch at a local restaurant and spend the balance of the day at leisure. Tonight, perhaps explore some of the city's world-class international restaurants on your own. 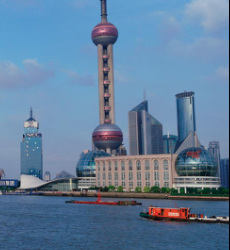 This morning, experience the old world charm of the Bund, as we walk along the waterfront promenade with gorgeous vistas of old and new Shanghai. 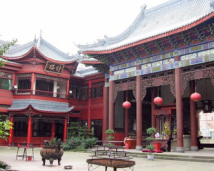 Next, visit the classical Yuyuan Garden (Garden of Happiness) built during the Ming dynasty. This beautiful and serene sanctuary features pagodas, lakes, and magnificent pavilions. After lunch, visit the Jade Buddha Temple, built during the Qing Dynasty to enshrine two beautiful jade Buddha statues given as a gift from Burma. The rest of the afternoon is yours to discover the rhythm of this vivacious city on your own. Today sadly you must say goodbye to this amazing country and return home. After breakfast you will be transferred to the airport for your trip home. * This price is only good until Dec. 12th. Reservations made after Dec. 12th will increase to $2049. ** This is an estimated airfare and could change at any time. Price of airfare is not guaranteed until booked. *** This is only an estimated cost. The actual cost is based on your age, so may vary a little from the price shown.